Cable TV is an important aspect of Nigerian society as it is not only a source of entertainment but also a source of learning. Today, you can easily find the antennas or dish of several cable TV operators hanging on the roofs or poles of buildings. The service is also a plus to the Nigerian economy as several foreign operators (like Startimes from China) turn sights to the Nigerian market to invest. 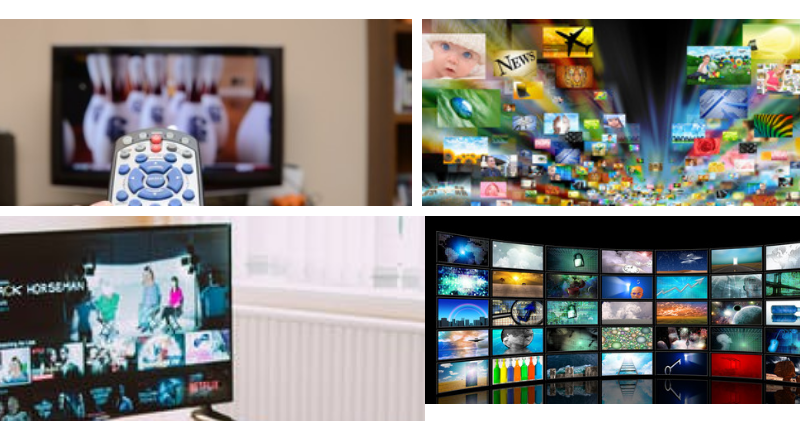 In this article, I will review the prices of cable TV in Nigeria and list several popular service providers. I will be focusing on the popular ones only as they are more trusted and provide better services compared to the unpopular ones. They also have better signal strength which makes them a better choice. Cable TV has gone a long way ever since the first Nigerian TV station, Nigerian Television Authority (NTA), began broadcasting in 1959. Back in the days, most Nigerians were limited to only viewing local channels like NTA and had to battle with poor signals when the weather is bad. Cable TV was also quite expensive and could only be afforded by the high class and a section of the middle class. Some years later, the first few local and international channels were introduced, but this improvement brought several problems. Most people still had to battle with poor signals and many more were unable to subscribe to these new channels as telecommunication channels were still underdeveloped at that time. The introduction of DStv into the Nigerian market in 1995 marked the beginning of astonishing improvement as DStv stormed the Nigerian market with top quality picture and sound and strong signals to meet the entertainment needs of the Nigerian market. However, DStv slammed heavy price tags on its services which meant low and middle-income earners wouldn’t be able to get access to its service. These set of Nigerians had to turn to local operators and were subjected to poor signals and service. Hope came for Nigerians when Startimes was introduced in 2010. Startimes was the reply to the request for affordable cable TV in Nigeria. They also had a high-quality service and signal strength which made them quite popular in the Nigerian market. The introduction and success of Startimes in the Nigerian market saw the rise of more affordable operators who looked to acquire a large customer base, especially among the low and middle-income earners. Today, almost anyone can afford quality cable TV in Nigeria as these affordable operators keep dishing out several packages to ensure that no Nigerian, irrespective of his/her income level, is left out. The last decade has seen several cable TV providers rise to take their share from the large Nigerian market. These operators mostly follow the same strategy enticing potential customers with promises of more affordable and high-quality service. However, only a few have been able to gain the favour of the market and have continuously retained their position as market leaders. Below, I am going to list these companies, the prices of their decoders, their subscription packages and costs. DStv was the first high-quality TV operator to storm the Nigerian market. Originating from South Africa where it controlled a large market base, the company came with promises that it has kept till date. Today, it still remains one of the best options to consider in Nigeria. This is because it provides access to a large number of channels (186 in total) which is unrivalled by any other operator in Nigeria. DStv also has several packages tailored to suit the need of every viewer. Today, low and middle-income earners can afford to own a DStv decoder and subscribe to its packages. DStv introduced two types of decoders; DStv Explora and DStv HD decoders. While they both provide access to every channel in the DStv directory, one of the decoders posses some features that make viewing a little more convenient. The DStv Explora decoder allows you to record programs, pause/play/rewind shows, rent blockbuster movies, and gain access to the DStv Catch Up feature. Startimes was one of the first few affordable cable TV service providers to storm the Nigerian market. Although it cannot boast of the same picture and sound quality as that of DStv, it is just good enough to attract low and middle-income Nigerians. The TV operator doesn’t have the same number of channels or a good number of international channels like DStv, but you will be quite entertained as it has a good number of movie, sports, news, and music channels both local and international. Just like DStv, Startimes released several decoders which all provide access to every channel the company offers. The differences between the decoders are the picture and sound quality and the signal strength. Startimes provides one of the cheapest subscription packages which provides you access to all 80 channels in the Startimes directory. Their cheapest package costs just N900 per month and provides you access to 26 channels. If you want to gain access to all 80 channels, then you would have to opt for their premium package which costs about N4,800 per month. GOtv is a more affordable version of DStv and Multichoice’s answer to the request for a more affordable service by low and middle-income earners. GOtv features some of the premium content you can find on DStv including top sports channels like Supersports. However, you wouldn’t be able to get other amazing functions like the program recording, pause/play/rewind feature and the DStv Catch Up feature on the GOtv decoder. When buying your decoder, you will be given a setup box which contains your GOtv decoder (with 1-month GOtv max subscription), a remote, an antenna and a setup manual. GOtv offers one of the cheapest subscription packages which is arguably the best and most affordable among all cable TV operators in Nigeria. Its GOtv Lite package provides you access to 25 channels for just N400 per month. This is much better than Startimes Nova bouquet, which gives you access to 26 channels for N900 per month. Its most expensive package, GOtv Max package, will cost you just N3,200 for access to all 75 channels in the GOtv directory. TStv is one of the recent Cable TV operators on the market, and it is fast growing. It is quite unique as it offers a different kind of subscription system, which makes it easier for viewers to subscribe to the service. The company also offers several premium features you can only find in decoders of top operators like DStv. One of such features is the program recording feature, which allows you to record programs and store them in your decoder. Another interesting feature is its pause/play feature, which enables you to pause and continue shows, movies, music and any other channel category of your choice at your convenience. Although the company stormed the Nigerian market with many promises, the fact that it required viewers to install a dish to get a good signal presented some drawbacks. Below are the prices of TStv decoders in Nigeria including the cost of installation of the dish and decoder. This TV service provider operates one of the most flexible subscription systems and allocates a certain amount of data to its users. The amount of data you will receive depends on the type of package you subscribe to. This data can be accessed by your phone’s wifi when connected to the hotspot on the decoder. Kwese TV is a new Digital Terrestrial TV (DTTV) service provider in Africa and Nigeria. The service launched in Nigeria in 2017 and sought to overtake market leaders in Cable TV. Kwese TV is quite similar to smaller cable TV service providers like TStv, Startimes, and GOtv. As of the time of compiling this article, the TV operator only offers about 50 channels. However, Kwese is quite different from other cable TV operators as it allows you to access content on over 5 devices (like Smartphones, laptops, tablets, etc) when you subscribe to any of its packages. Kwese comes with a satellite dish which makes it more expensive upfront. You will also have to consider installation costs when settling for this option. When buying a Kwese decoder, you will be given the Kwese TV Starter Pack. This starter pack contains a Kwese decoder, satellite dish, installation manual and 1-month access to all Kwese TV’s 50+ channels. You can also buy the decoder only, which would cost less compared to buying it with the starter pack. For access to all the 50+ channels in the Kwese TV directory, you will have to pay a subscription fee of N6,275. However, it also offers a flexible subscription payment system. MyTV is one of the oldest cable TV operators in Nigeria but not among the top 5 when it comes to quality and the number of channels it offers. Nevertheless, it is still a good option to consider. Different operators offer different means for potential customers to purchase their products. Some operators provide an option to purchase their decoders directly from their official website. You can make payments on the website and the decoder will be delivered to your location. Most of the companies have several dealers who sell their products. You can easily find dealers of popular brands in any electronic market or store around you. However, if you are unable to locate one within your vicinity, simply log on to the company’s website and locate the “find a dealer” option. You may be required to type in your country and city and a list of dealers within your location will be shown to you. Online shopping sites like Jumia and Konga offer decoders for sale. Each online store in Nigeria has its modus operandi; some may only allow you to make payment for the decoder before delivery while others may allow payment after delivery. Ensure you check every detail and get the right information before making a purchase, especially if you are a novice in the system.